Luther C. Larimore, son of Mr. and Mrs. J. F. Larimore, Newcstle, husband of Evelyn Tandy, graduate of Newcastle High. 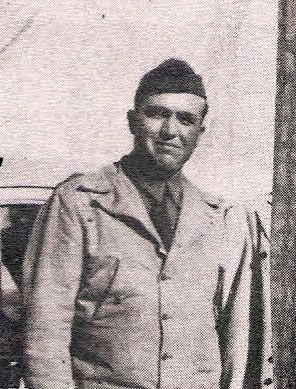 Entered Army in 1941, trained at Camp Wolters, Tex., Cal., and Miss. Served in Hawaiian Islands. Awarded GCM, Amer. Theater, Pacific Theater, and Inf. Badge. Discharged in 1945.